We work in tandem with you, our client, when creating applied games. Combining your field of expertise with our knowledge of game design, psychology and software engineering. Some clients have approached us with a single app or game in mind, others have employed our services for years, creating vast gaming platforms containing a large number of games. Below you see a selection of the applied software & games we have created. Do you have an idea for an app or game? Desdemona BV, who exploits one of the world’s most advanced motion simulators, is developing its own visual and tactical virtual environment Dominios, for military training. Alterego Games was involved in the development of the prototype, and for its own interest continued on this software by creating the ability to infinitely stream the entire planet. Furthermore we developed a tool that extracts Points of Interest and other data from “Open Street Maps”. Allowing us to create an infinite and rich 3D environment, filled with realistic flora, fauna, buildings and road networks based on real world information and which is optimized for Virtual Reality. In collaboration with MetaMeta we’ve developed the ChangeTheGames.org website. 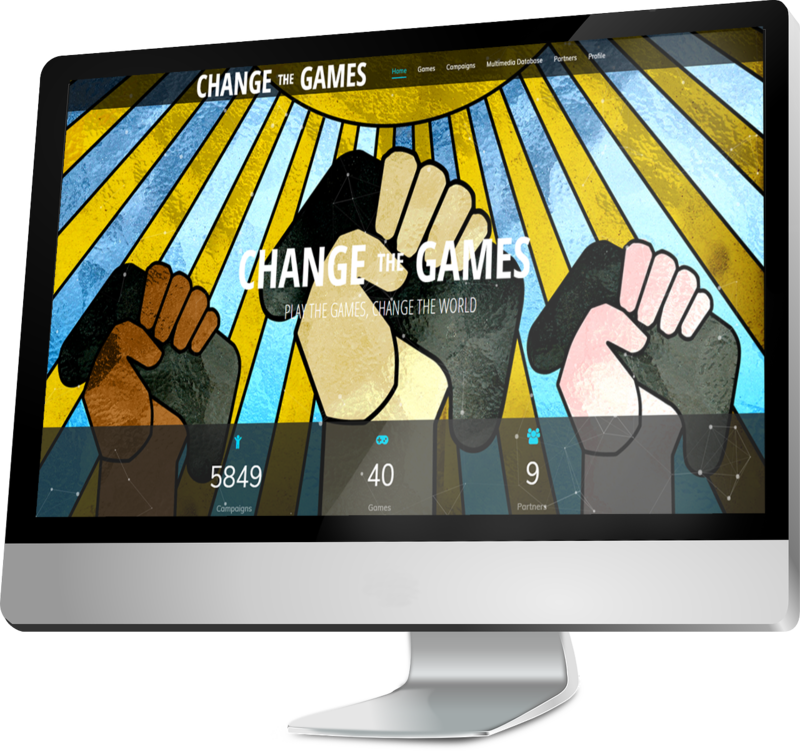 Change the Games is a web platform that combines elements from popular web-based gaming, crowd source and shareware platforms. The website is developed as a visual prototype of a platform on which people can play games to promote a social campaign of their choosing. People are able to create their own campaigns, and the website is augmented by a cross-cultural media sharing platform. The website is a visual showcase, but there are already five games you can currently play, all running within your browser. Check out the website, where you can also contact MetaMeta for more information about the project. 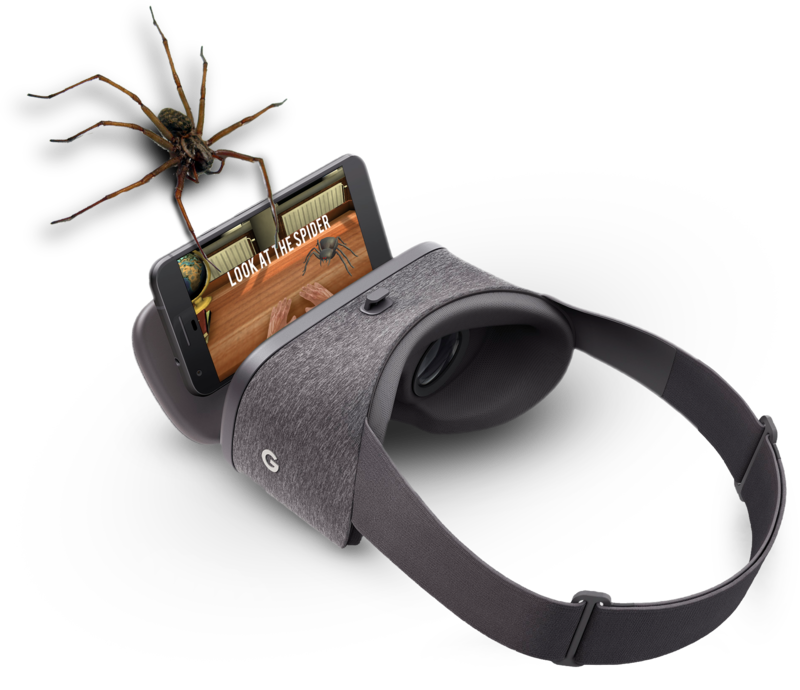 This Virtual Reality app is designed to help people suffering from Arachnophobia (the intense fear of spiders). Participants enter a virtual office in which they are exposed to small spiders. Just as in a therapeutic setting, participants are gradually exposed to bigger spiders, which are closer in proximity or move more energetic. The experience is designed to strictly represent modern cognitive-behavioral therapies, with the intent to shorten the often costly therapy or even prevent the need for this therapy altogether. The app was developed for Mobile VR and the Oculus Rift. Adaptable for Google Cardboard, Oculus Rift and other VR devices, we offer a way to navigate through 360 footage augmented with virtual interaction. Imagine visiting the pyramids with pre-programmed information pop-ups, getting a guided tour through a national park from your living room, or joining our CEO shredding it on a snowboard along the vast Swiss Alps. Virtual reality is not just a thing of the future, it is a thing of the present. Behind the fun race shines a powerful motivational theory as is used by the company: My Motivation Insights. This game gives you the chance to discover these colors free of charge and perhaps even learn something about yourself. Curious about which color represents you the most? Download the game and find out! CHANGE your Mohawk’s color based on your playstyle. PLAY with 7 color-bound powers that change the game. DISCOVER 7 environments to fly through including New York, Paris and Amsterdam. WIN 12 cool skins to pimp your Mohawk.